Stories From Candyland. By Candy Spelling. St. Martin’s, 247 pp., $25.95. 'Celebrities get way too much attention and credit,' Hollywood widow Candy Spelling says. Stories From Candyland leaks such Styrofoam peanuts until it brings to mind the critic A.O. Scott’s description of Leap Year as “a movie only in a strictly technical sense.” Spelling casts herself as a victim of misrepresentations spread by her actress daughter, Tori, and professes not to understand them: “I’m not sure what Tori means when she says our relationship is complicated. I wish she would call me …” But the telephone works both ways. And Spelling doesn’t make up for all her omissions and special pleading with glimpses of her famous Los Angeles mansion. 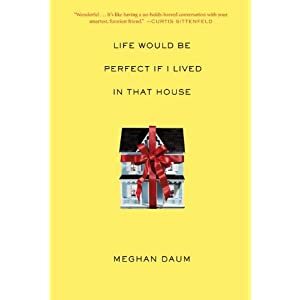 Perhaps the biggest revelation in this book is that contrary to reports that the Manor has a dedicated gift-wrapping room, it actually has three of them. Published: March 2009 (hardcover). Paperback due out in March 2010. 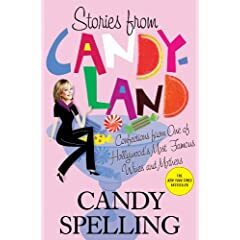 Furthermore: News reports that have appeared since the publication of this book suggest that Candy and Tori spelling have mended their fences. Janice Harayda satirizes American literary culture, such as it is, on her FakeBookNews page on Twitter www.twitter.com/FakeBookNews.